STRASBOURG, FRANCE - EU economics affairs commissioner Pierre Moscovici on Tuesday said Brussels will keep close watch over France's new spending plans, a day after President Emmanuel Macron unveiled new measures to quell violent protests. 'The European Commission will closely monitor the impact of the announcements made by President Macron on the French deficit and any financing arrangements,' Moscovici told AFP. 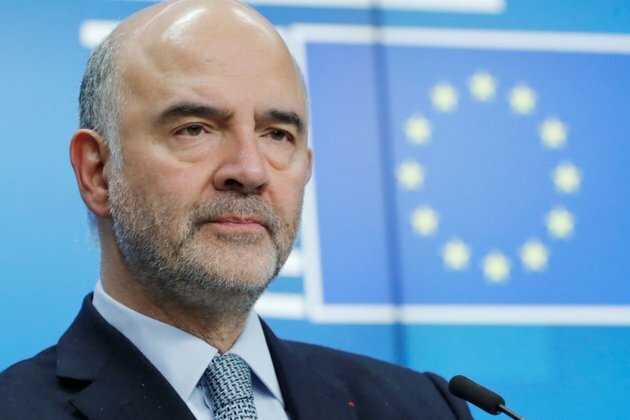 'We are in constant contact with the French authorities,' added Moscovici, who was attending a plenary session of European Parliament in Strasbourg. Meeting the EU's three percent deficit limit has been a centrepiece of Macron's European strategy in order to win the trust of powerful Berlin and its backing for EU reforms. Before the 'yellow vests' protests, the 2019 public deficit was expected to reach 2.8 percent of gross domestic product (GDP), just below the threshold. And he called on all businesses 'that can afford it' to give employees a one-off 'end of year bonus' which would be tax free. The EU rules on public spending are 'binding for everybody that is clear,' said senior German MEP Manfred Weber, when asked by reporters about France's new expenditure. Italy's budget for 2019 was the first in history to be rejected by Brussels for breaking bloc rules on spending.